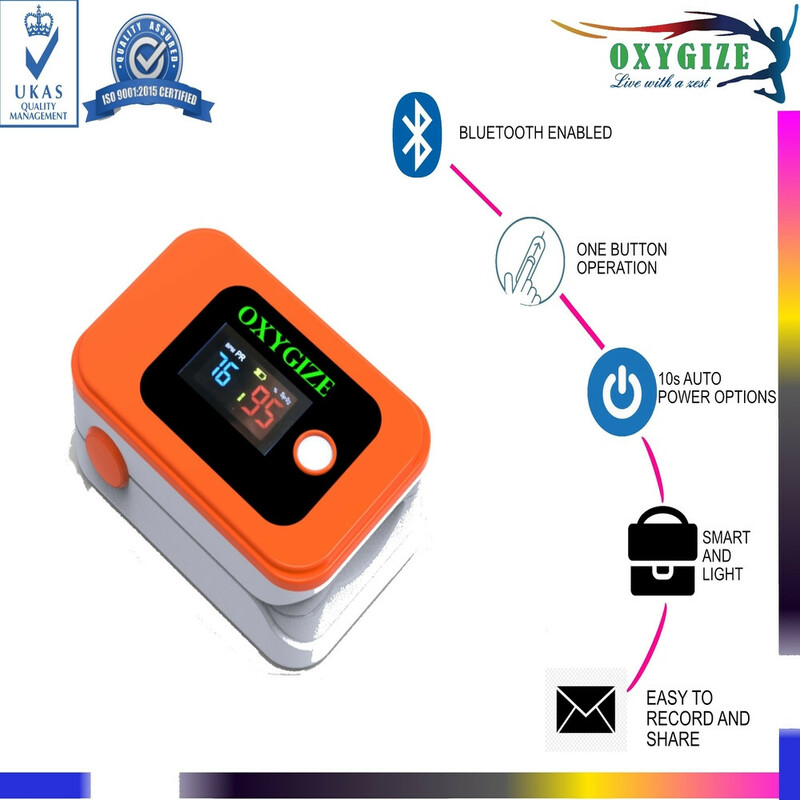 The newly launched Oxygize FINGER Pulse Oximeter is anaffordable and accurate way to check pulse rates and blood oxygen saturationlevels. PERFECT PULSE RATE DETECTOR: This awesome devicemight be small but it is also very powerful. When it comes to monitoring youroxygen saturation level and your pulse rate, this devices is very accurate witha measurement range of 25 ~ 250bpm and an accuracy of ±2bpm. 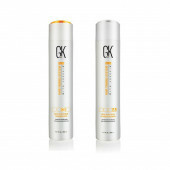 Despite its smalland simple looks, it is very effective and will never let you down. SPORT/HEALTH - For sports people like mountainclimbers, skiers, bikers or anyone interested in measuring their SpO2 and pulserate. SpO2 and Pulse Rate now instead of away from the user for easyread. 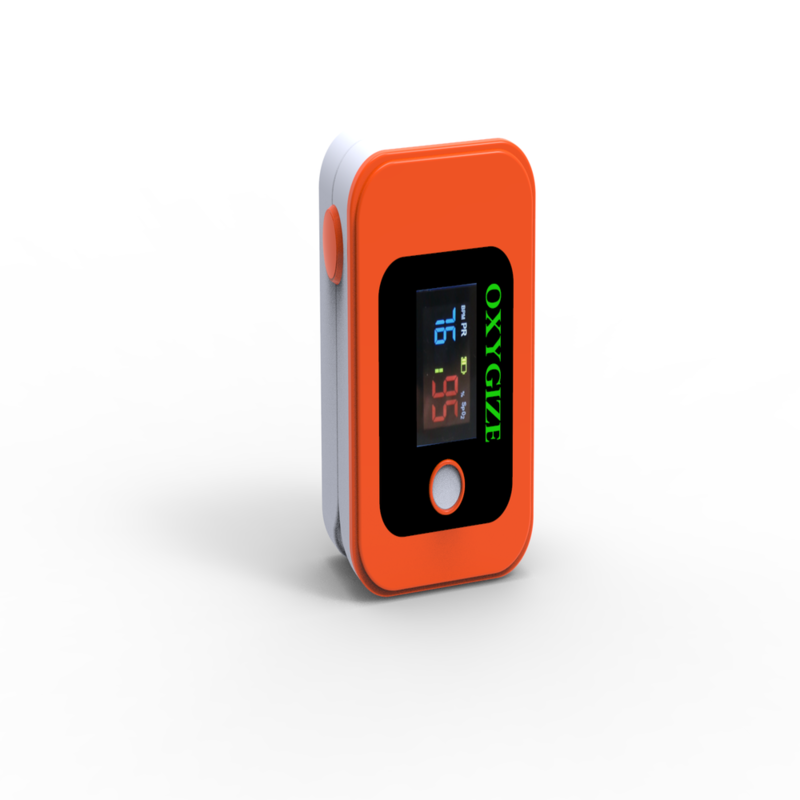 PRO SERIES -Manufactured according to CE and FDAstandards for pulse oximeters used by doctors and other health professionals.The ONLY LED pulse oximeter that can read and display up to 100% for SpO2value. 1. Hold the product in one hand withthe front panel facing the palm. Put the other hand's big Finger on the batterycabinet lid's press sign, press downwards and push the lid open at the sametime. 2. Install batteries into the slots perthe "+" and "-" symbols. Cover the lid onto the cabinet andpush it upwards to make it close well. 3. Press clip's press sign. Place thetester's finger into the rubber cushions of the clip. Make sure the finger isin the right position. Use the first finger, middle finger or ring finger. 4. Press the power and function switchbutton on the front panel to turn on the product. Don't shake the finger andkeep the tester at ease during the process. The readings will be displayed onthe LCD screen a moment later. 1. 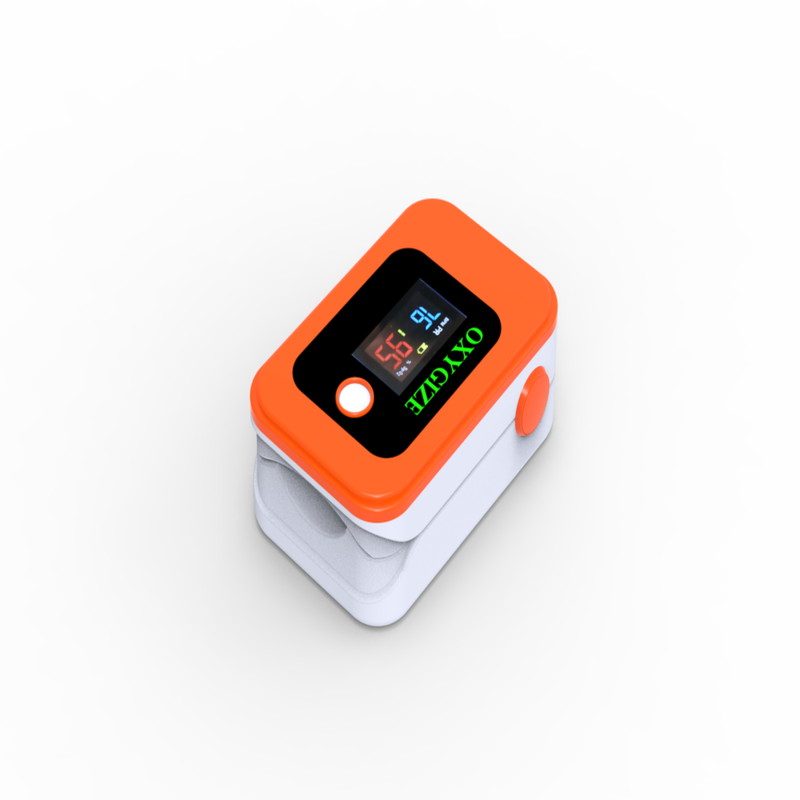 Before measuring, ensure that thepulse oximeter is in a normal state. If it is damaged, please don't use. 2. Don't put the pulse oximeter onextremities with an arterial catheter or venous syringe. 3. Don't perform SpO₂ monitoring andNIBP measurements on the same arm simultaneously. Obstruction of blood flowduring NIBP measurements may adversely affect the reading of the SpO₂ value. 4. 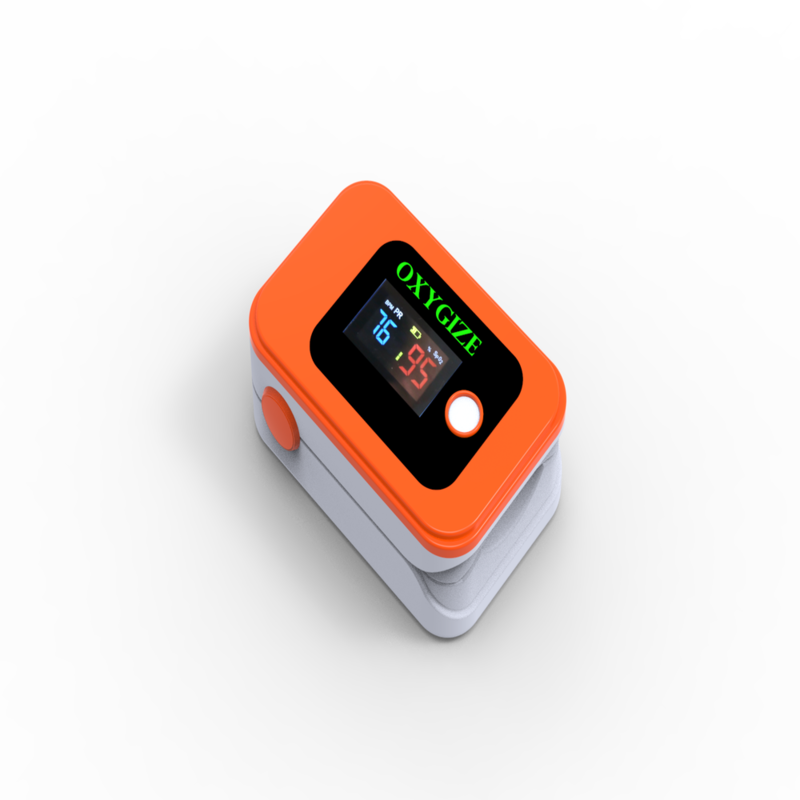 Don't use the pulse oximeter forpatients whose pulse rate is lower than 30bpm, as this may cause incorrectresults. 5. 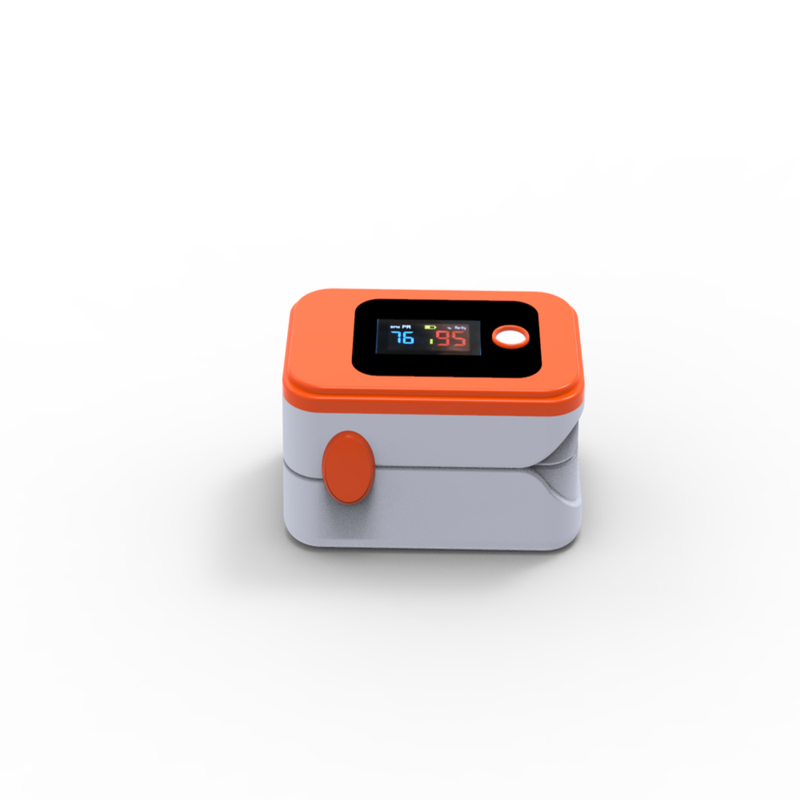 The measurement part(finger) shouldbe well perfused and able to cover the test window of the sensor adequately.Please clean the measurement part and ensure that it's dry before placing thepulse oximeter. 6. Cover the sensor with the opaquematerial under the condition of intense light. Failure to do so will result ininaccurate measurement. 7. Make sure that there is nocontamination and scar on the tested part. Otherwise, the measured result maybe incorrect because the signal received by the sensor is affected. 8. When used on different patients, theproduct is prone to cross- contamination, which should be prevented andcontrolled by the user. Disinfection is recommended before using the product onother patients. 9. Incorrect placement of the sensormay affect the accuracy of the measurement, and if it is at the same horizontalposition with heart, measurement effect is the best. 10. The highest temperature of sensorcontact with the patient's skin should not exceed 41°C. 11. Prolonged use or the patient'scondition may require changing the sensor site periodically. Change sensor siteand check skin integrity, circulatory status, and correct alignment at leasteven 2 hours.